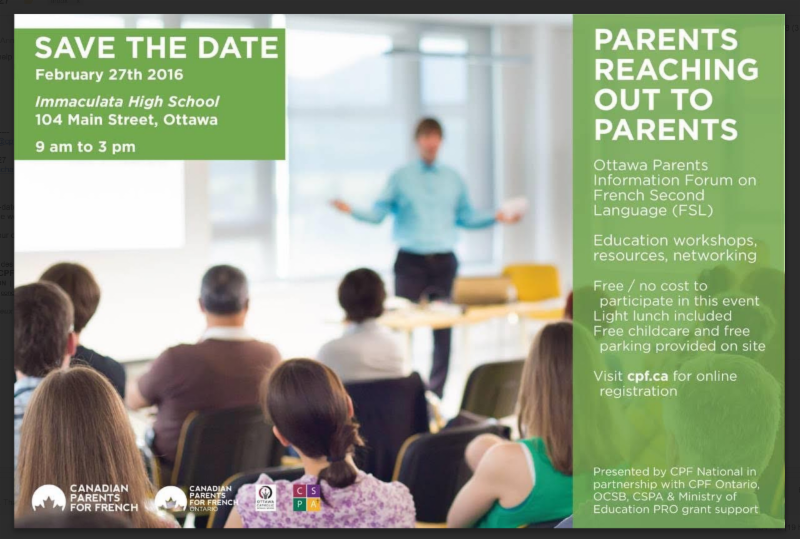 Presented by the Canadian Parents for French, in collaboration with Canadian Parents for French Ontario, OCSB & CSPA. Join us for a day of learning, resources and discussions about FSL education programs. CPF Ontario and CPF National will help you understand and navigate the world of FSL within Ottawa's schools, as well as help you discover resources available in your neighbourhood. Every year, Ontario students in Grades 3, 6, 9 and 10 write province-wide tests to assess their reading, writing and math skills. 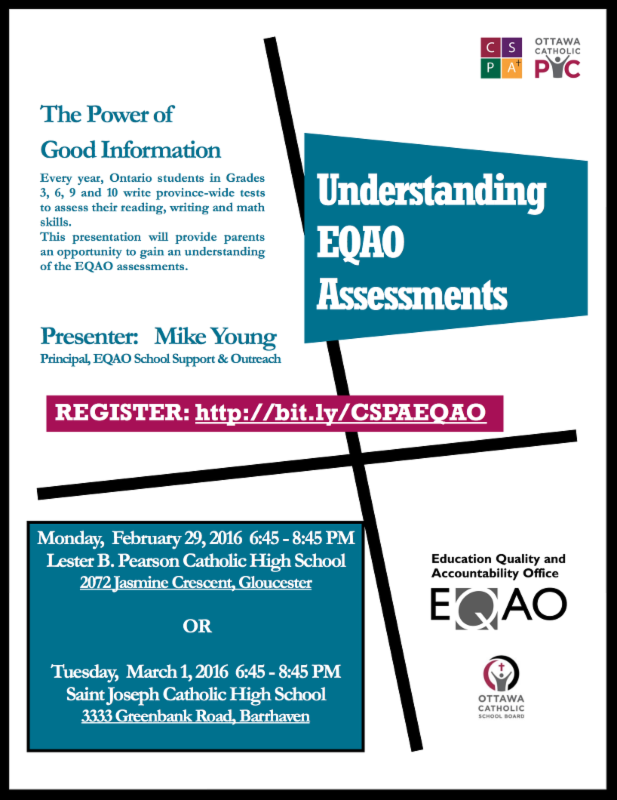 This presentation will provide an opportunity for parents/guardians to gain an understanding of the EQAO assessments. 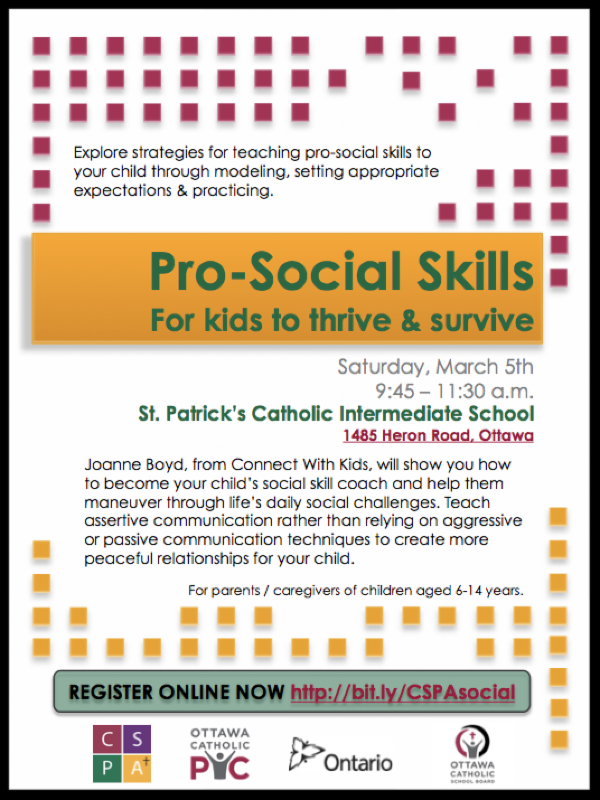 Explore strategies for teaching pro-social skills to your child through modeling, setting appropriate expectations & practicing. Discover how to become your child's social skill coach and help them maneuver through life's daily social challenges.